Lately, Dell released a series of refreshed versions of their notebooks that feature the new 8th gen Intel processors and we didn’t take long to take a quick look at them. Today is going to be a bit different. 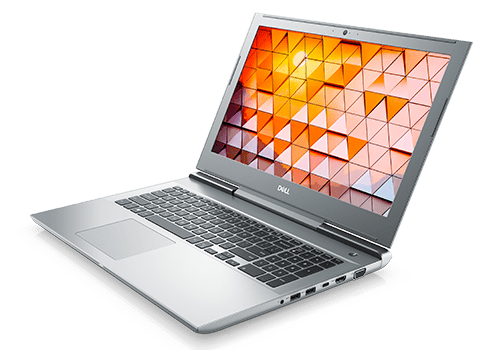 We are still taking a look at a new Dell notebook but rather than the new 8th gen ULV chips it is powered by the well known 7th gen HQ CPUs. Meet the new Dell Vostro 7570. All the other new notebooks we part of the Inspiron brand which is usually targeted to the mainstream user. The Vostro series, on the other hand, resemble more closely a higher business class and the Vostro 7570 is somewhat that. We wouldn’t categorize it as a strictly business-oriented notebook; maybe a solid all-rounder is a better description. The Vostro 7570 is not based on the new 8th gen ULV chips. It rather uses the well known Core i5-7300HQ and Core i7-7700HQ which are mostly on par with the new chips in terms of performance but have a higher power consumption. Nonetheless, they are great options for power users. Backed by up to 32GB of DDR4 RAM, multitasking shouldn’t be a hassle. The Vostro 7570 also comes with a dedicated graphics card. You can choose between the NVIDIA GeForce GTX 1050, 1050 Ti or 1060. With that range of GPUs to choose from, you can configure anything from a low-budget gaming notebook to a decent mobile gaming rig. The version of the GTX 1060 is the 6GB one which we find pleasant. The Vostro 7570 also has some connectivity options which most Inspiron models lack. For instance, you get a USB Type-C port which supports Thunderbolt 3 which means you can transfer data with up to 40Gbits per second or use it as a video-out port in addition to the HDMI and VGA ports. One of the other USB Type-A ports supports PowerShare so you can charge your other devices. The Vostro 7570 packs some other premium features which makes it stand out of the consumer grade products. Optionally you get a Trusted Platform Module (TMP 2.0) which provides better data and device security. Easy access to the BIOS lets you configure the notebook to your preferences. An optional fingerprint sensor further enhances security. A free-fall sensor locks your hard drive to prevent data loss when experiencing damage. Vostro 7570 also comes with a 15-month subscription to McAfee Multi Device services which means you can protect up to two other devices as well. Contact the manufacturer for further details on these options.